We’re pleased to announce that the competition programme of 2016 International Film and Music Festival Küstendorf is now open for entries. 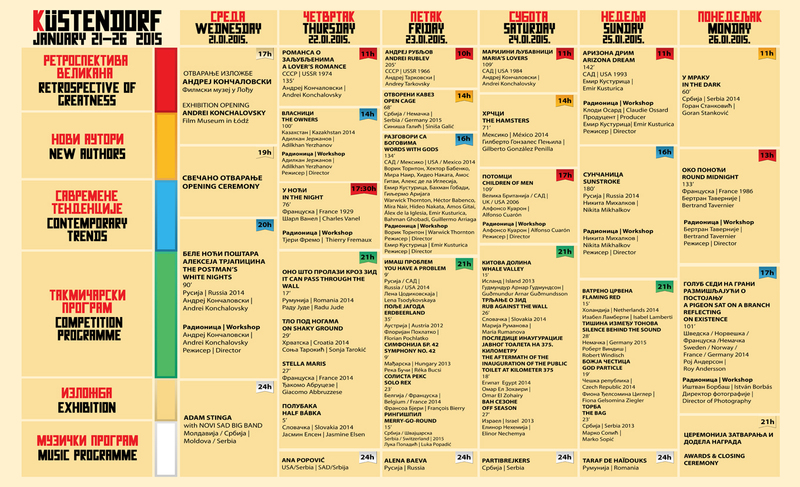 Competition programme will present fiction, documentary and animated films whose total running time doesn’t exceed 45 minutes. New young authors and films students will compete for the festival prizes. Submission forms and internet links for films should be sent to kustendorffestival@gmail.com before 1 December 2015. Selected films will compete for Festival prizes and their authors will be invited to take part in Festival programmes. Exact dates of 2016 International Film and Music Festival Küstendorf Festival will be announced shortly.